Has your facility ever used resident-activated call systems? If so, you’re not alone. Many long-term care facilities were once likely to invest in call systems to increase safety and elevate consumers’ opinions of their operations. Today, however, nurse call systems have proven to not always be the most effective and practical tool for residents. Many now strongly frown on its reactive – rather than proactive – approach to fall safely. And in the systems’ places, more and more industry leaders are choosing to use a new modern safety tool that is much more likely to provide residents with the protection and security they need: automated monitoring. So what exactly is the problem with call systems? Once a promising tool for long term care facilities, resident-activated call systems have simply been unable to consistently provide the protections and aid that residents may need in emergencies, particularly those related to falls. Even when used correctly, call systems cannot guarantee that a resident will be able to reach out for help in the event of a fall. Should a resident fall out of reach of their call system, they’ll immediately lose the ability to even use their system to call for help. Additionally, even call systems that rely on patches, pendants or wearable devices are not necessarily effective, as residents may not always remember to put them on every time they prepare to leave their beds. More importantly, though, call systems are unable to help prevent falls in the first place. And this is a need that cannot be overlooked. The Centers for Disease Control and Prevention currently reports that “between half and three-quarters of nursing home residents fall each year” and “about 10% to 20% of nursing home falls cause serious injuries.” Worse still, about 1,800 seniors in nursing homes die annually as the result of falls. And this is just in nursing homes – that number does not include assisted living or other care types that lack national supervision. That number is too high – and the need to address it simply cannot be met with call systems. With such a strong need for better fall prevention in nursing homes and long term care facilities, the need to move away from both reactive and entirely useless tools such as call systems is growing more and more apparent. In their place are rising pro-active tools and strategies that are much more recommended for care facility use. Fall risk assessments, for example, are becoming well-known by care providers for their ability to help highlight heightened fall risk indicators. Fall prevention strategies that are developed as a direct response to these assessments are also becoming extremely valuable. Assessments and strategies, however, are only part of the 21st century approach to fall prevention. New tools are also allowing care facilities of all sizes to introduce wireless monitoring to their residents’ bedsides. This type of monitoring goes much further than call systems ever could. Rather than giving residents a way to contact staff after a fall or accident, wireless monitoring can use pressure pads and sensors to collect data and send warnings about signs of trouble to staff members before the majority of falls even occur. Technology like this has proven to significantly reduce the number falls in care facilities, allowing staff members to improve the quality of care residents receive overall and ensuring that staff can give families peace of mind about the care their loved ones will receive. 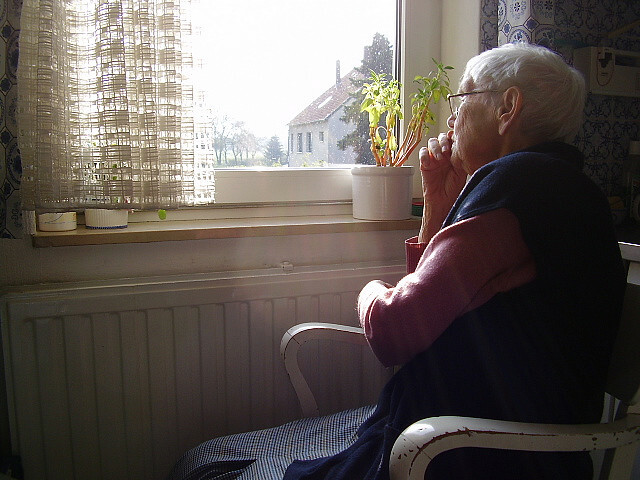 By investing in modern day monitoring technology and doing away with old tools such as call systems, long-term care organizations can reduce the number of falls per bed in their facility, increase residents’ length of stay and improve their quality of care, as well as position themselves locally as a go-to for safe, quality care later in life. Looking to the future, it’s clear that new monitoring systems are likely to quickly replace call systems in care facilities, as they are the best fall prevention and detection tool available for use today. To learn more about the Hello Nurse wireless patient monitoring system and its place in 21st century fall prevention strategies, download our brochure.